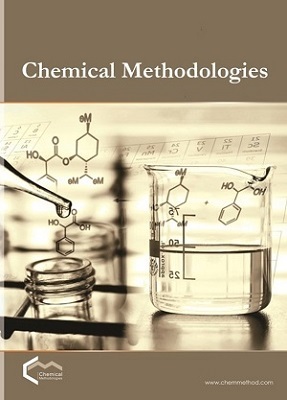 In the present work, for the first time the quantum calculations of Ethyl-(Z)-3-phenyl-2-(5-phenyl-2H-1,2,3,4-tetraazol-2-yl)-2-propenoate are evaluated using the HF and B3LYP methods with 6-311++G** basis set. The geometry of the title compound was optimized by B3LYP/6-311++G** level of theory. The theoretical 1H and 13C NMR chemical shift values of the title compound are calculated and compared with the experimental results. The computed data are in good agreement with the experimental data. 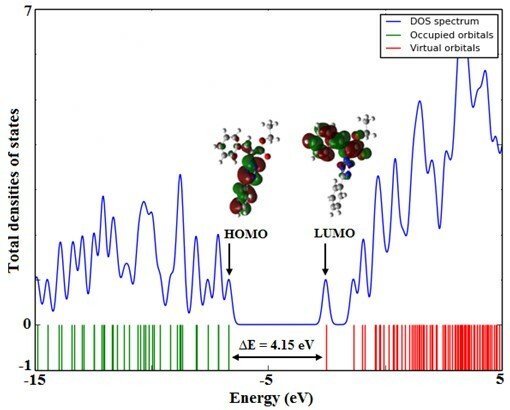 Frontier molecular orbitals (FMOs), molecular electrostatic potential (MEP), energy gap between HOMO and LUMO, electronic properties, thermodynamic parameters, natural charges distribution (NBO charges) and NBO analysis were investigated by theoretical calculations. Frisch M.J., Trucks G.W., Schlegel H.B., Scuseria G.E., Robb M.A., Cheeseman J.R., Scalmani G. , Barone, B. Mennucci, G. A. Petersson, H. Nakatsuji, M. Caricato, X. Li, H. P. Hratchian, A.F. Izmaylov, J. Bloino V., Zheng G., Sonnenberg J.L., Hada M., Ehara M., Toyota K., Fukuda R., Hasegawa J., Ishida M., Nakajima T., Honda Y., Kitao O., Nakai H., Vreven T., Montgomery J.A., Peralta J.E., Ogliaro F., Bearpark M., Heyd J.J., Brothers E., Kudin K.N., Staroverov V.N., Kobayashi R., Normand J., Raghavachari K., Rendell A., Burant J.C., Iyengar S.S., Tomasi J., Cossi M., Rega N., Millam J.M., Klene M., Knox J.E., Cross J.B., Bakken V., Adamo C., Jaramillo J., Gomperts R., Stratmann R.E., Yazyev O., Austin A.J., Cammi R., Pomelli C., Ochterski J.W., Martin R.L., Morokuma K., Zakrzewski V.G., Voth G.A., Salvador P., Dannenberg J.J., Dapprich S., Daniels A.D., Farkas Ö., Foresman J.B., Ortiz J.V., Cioslowski J., Fox D.J. Gaussian09, Revision A.02, Gaussian Inc., Wallingford, CT, 2009. Weinhold F., Landis C.R., Natural Bond Orbitals and Extensions of Localized, 2001.